Harriet Tubman was born around 1820 in Maryland. Her parents were slaves, so she also was a slave when she was born. She had to work even when she was a little child. When she was twelve years old, she suffered a serious injury when an overseer threw a heavy weight which hit her in the head. After that incident she slept a lot. This condition remained with her the rest of her life. People with narcolepsy will suddenly fall asleep wherever they happen to be. When she was 25, she married John Tubman who was not a slave, but a free African American. Harriet was afraid she was going to be sold and sent to the South, so she decided to run away. A white neighbor gave her some names of people she could contact to help her. She was about to escape through the Underground Railroad. To understand the story of Harriet Tubman we first need to learn something about the Underground Railroad. It was not a railroad, and it was not under the ground. 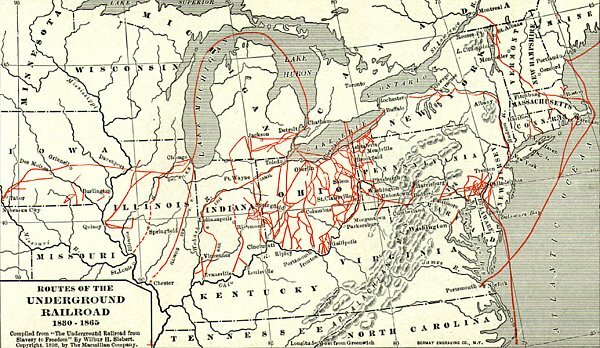 It was a network of "safe houses" where slaves could flee from one house to the next until they made their way to the Canadian border. The people helping them had to do it secretly, so it was an "underground" or covert* operation. The safe houses were called "stations" or "depots". The owners of the houses were called "stationmasters". A compassionate* religious group of Quakers were stationmasters as well as certain free blacks who were sympathetic to the slaves. The people who traveled with the slaves to help them escape were called "conductors". 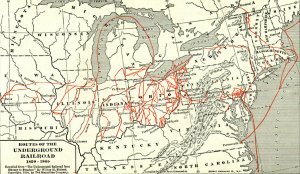 During a forty year period about 100,000 slaves escaped from the South through the Underground Railroad. Harriet contacted a person her friend had recommended, and through a series of safe houses made her way to Canada where she became a free woman. Her next concern was to help her family also become free. She returned to Maryland again and again freeing her sister and her sister's two children, her brother and two other men. When she went to rescue her parents who were seventy years old, she had to arrange for a wagon because they were too frail to make the trip on foot. She made a trip to free her husband, John, only to find that he had married another woman! It made her very sad that he had rejected her and chosen another to be his wife, but she decided to devote herself to helping others gain freedom. She later married Nelson David, a former slave who was a Union soldier. 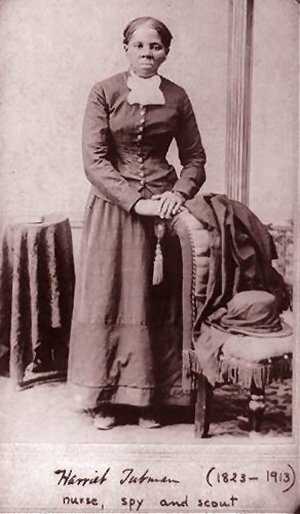 Harriet made nineteen trips as a "conductor", risking her life every time, and successfully freed about 300 slaves. 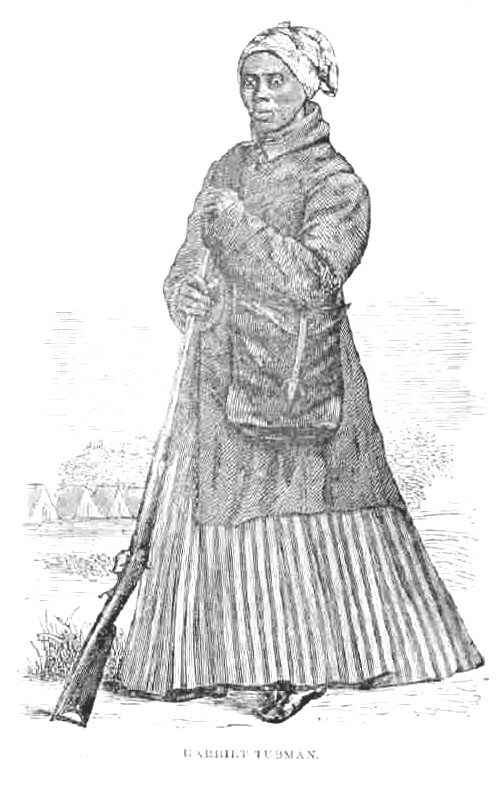 She carried a gun and threatened any slave who wanted to turn back. A reward of $40,000 was offered to any bounty hunter who brought Harriet in to the authorities, but she managed to avoid capture. She was such a brave woman! Harriet became known as "Moses" because she was freeing her people just as Moses freed the children of Israel from Egyptian slavery. She made friends with many influential* people including abolitionists* John Brown and Frederick Douglas. She befriended Senator William H. Seward from New York. He and his wife provided a house where she moved her parents down from Canada. She later was able to buy the home and stayed there when she was not on the road helping slaves escape. During the Civil War Harriet worked for the Union Army. Sometimes she worked as a cook, sometimes she served as a nurse, and even worked as a spy! After the war she returned to her home in Auburn, New York. Harriet Tubman died at the age of 93. After her death she received many honors. A ship was named for her; the Liberty Ship Harriet Tubman, and in 1995 the federal government issued a commemorative* postage stamp in her honor. Fergus M. Bordewich, the author of "Bound for Canaan: The Underground Railroad and the War for the Soul of America" states that myths grew up around the Underground Railroad. He says one fact that can't be substantiated is that quilts with secret code in the squares were displayed to indicate safe houses. View excerpts from the book. This biography by Patsy Stevens, a retired teacher, was written in 2006. Press "Go" to search for books about Harriet Tubman. Portrait courtesy of Wikimedia Commons. this website is amazing and harriet tubman is a mazing !!!! i luv this website !!! This a very good site! Harriet Tubman is an amazing woman!! Shes VERY brave!!!!!!!!!!! This information has helped me alot doing a project on her. Im glad I had the chance to look up information about her because I really needed o know how she saved slaves. This page displayed 414,942 times.